Southern Colorado gets top ratings for friendliness toward small businesses. Now is the time to grow your business and increase brand awareness. For proven results, invest your advertising dollars with a proven brand. The Valpak Blue Envelope of coupons enables you to reach your best prospects affordably through shared direct mail marketing. With our proprietary research tools and deep local knowledge, Valpak of Southern Colorado can pinpoint the neighborhoods where your ad will be most effective. You choose what to offer, how to present it and the format: single or multipanel coupons, circulars, flyers and more. While people love looking through The Blue Envelope® each month, they also need to the ability to find you online. Valpak can develop and maintain a business listing or a full business website for you and link it to valpak.com. We are a Google Premier Partner, specially certified to help small businesses get found more quickly online. Valpak’s ROI tracking tools can measure consumer response to your direct mail and digital marketing campaigns. Performance dashboard and call tracking provide reliable proof of performance for many types of businesses: restaurants, automotive, professional and general services, shops, entertainment and travel, health and medical, home improvement and more. We can help you reach as many as 140,000 qualified households in Southern Colorado including Colorado Springs, Fountain, Monument, Peyton, Florissant, Manitou Springs, and the United States Air Force Academy. Contact Valpak of Southern Colorado today. For specific dates and coverage, contact your Valpak of Southern Colorado representative. 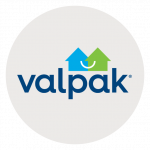 Valpak of Southern Colorado is an independently owned Valpak franchise.